One of a kind, Funny Birthday Card, Funny friend card, Rude birthday Card. 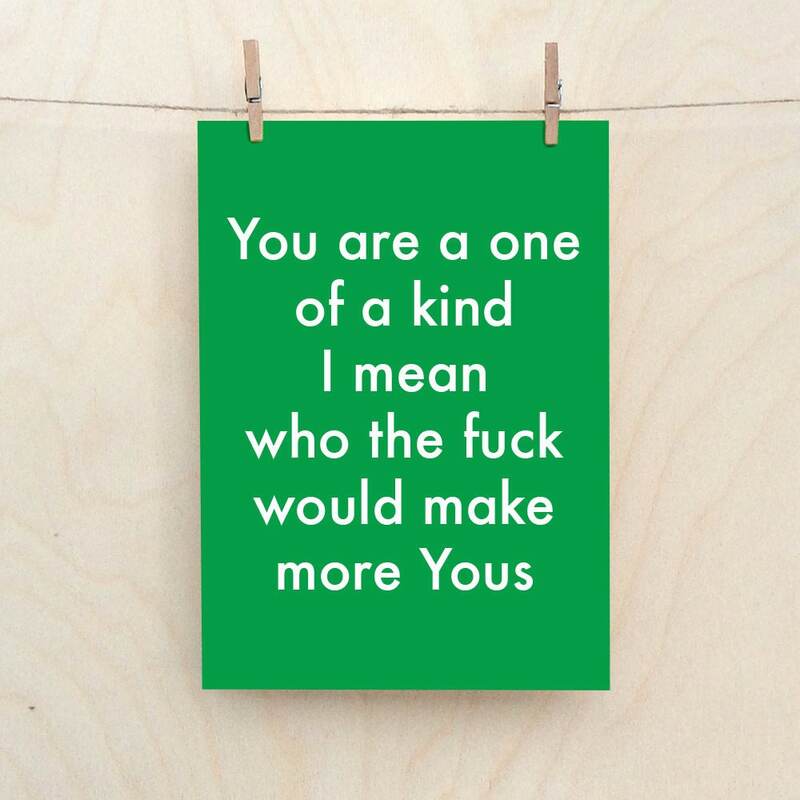 Sometimes the best way to let your friends know exactly how much you respect them is to send them a card which really read like you respect them at all. They will love it. And respect you for it.